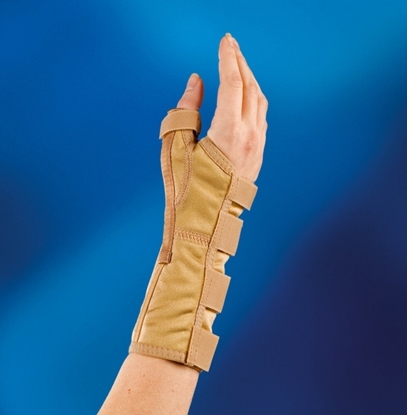 Volar aluminium splint for individual adjustment with zip fastener up to thumb. 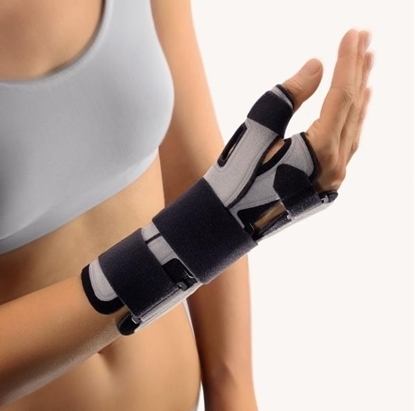 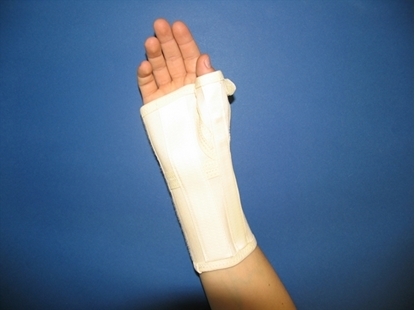 Wrist orthosis with a thumb piece to provide additional stability to the CMC joint of the thumb. 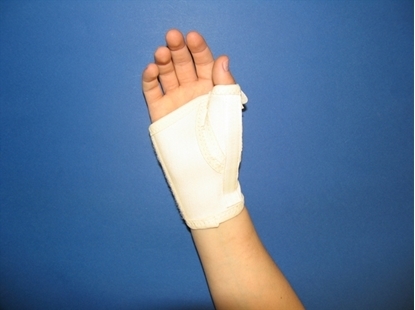 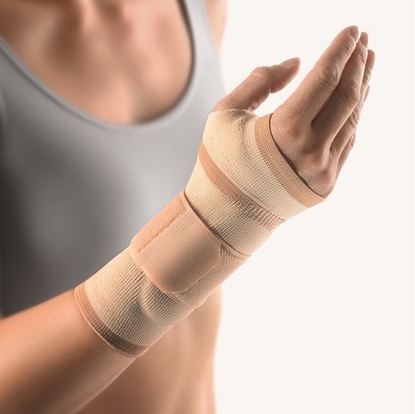 This brace has been developed for patients with work related hand problems. 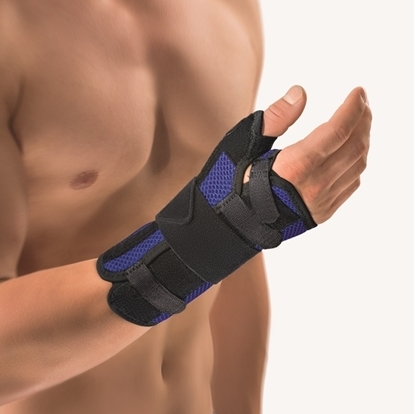 Provides firm support and unload the CMC articulations. 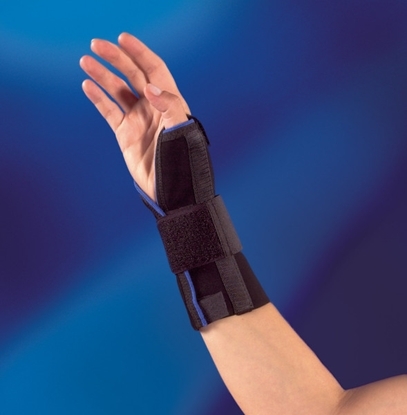 Provides firm support and reduces the load on the carpometacarpal articulations. 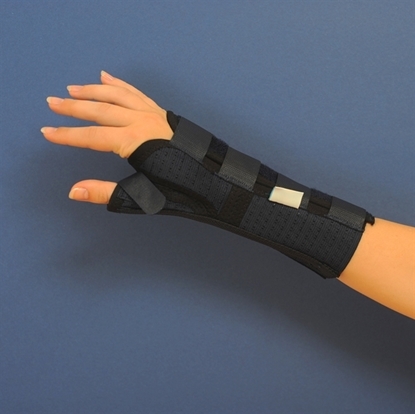 Wrist orthosis with wide and firm cinch strap wrapping around the articulation allowing optimum adjustment and pressure. 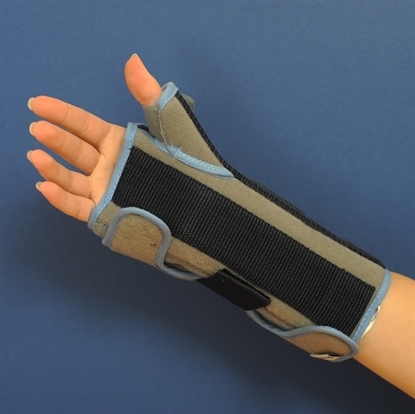 Shortened support and special design for children´s size. 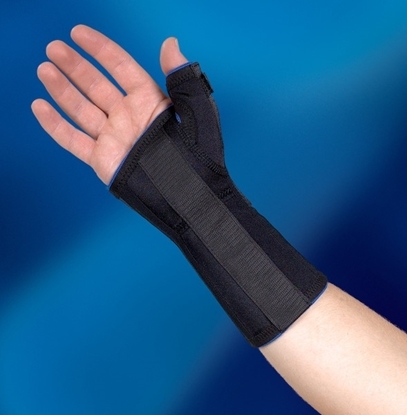 Comfortable, rigid support with thumb surround.